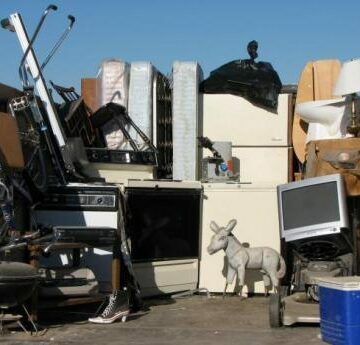 How we price junk removal is pretty straight forward. When a customer calls us for junk removal pricing we ask for a description of the items and where the the junk is located. We give customers a ballpark price over the phone. If that price range seems fair we schedule an appointment time that is convenient for all. After arriving and viewing the job we can quote an accurate price. As long as we agree on a price, we can usually start immediately. Call today for your fast fair junk removal price quote.